Your home environment has a big effect on your life, including your moods, health and habits. Looking for a quick way to add some more pizazz to your living room, salon or den? 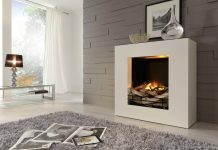 Read these five tips to brighten up your living area. 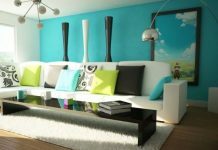 Some well-placed pieces of art will make your living room or den look more sophisticated as well as add interest and color. A well-placed painting or photograph can add the illusion of an extra window to a smaller or darker room, while a series of smaller pictures will provide pops of color in contrast to or in harmony with your overall color theme in the room. If you, as a renter or homeowner, are worried about damaged walls, rest easy and look into the possibility of using wire picture hangers on your wall to display your art. For older rooms or to achieve a complete shift in ambiance, a new coat of paint will surely brighten up your home. Lighter colored walls and white ceilings can create a feeling of larger rooms, while bright accent walls in a darker or more vibrant shade than the rest will make a larger room seem less bland. If you’re happy with the color of your walls but just feel that the room needs to be brighter, consider ways that you can add sources of light. By hanging mirrors so that they reflect the natural light from your windows, you can open up a smaller space and make it seem both more spacious and sunnier. 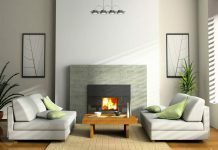 On the other hand, adding floor lamps or additional overhead light fixtures may be a better choice for homes in northern climates or rooms that don’t receive much natural light. 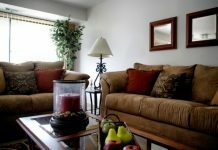 The color and size of your furniture also has an impact on how light, bright and large your room seems. Larger, plumper couches are comfortable but they take up a lot of space in your living room, so minimize their effect on the room by choosing larger pieces of furniture in lighter colors. Already purchased your living room set? Find some lighter-colored throws or covers to brighten already dark furniture. Your living areas will also seem lighter and brighter if you minimize the amount of objects within them. Try to contain clutter by creating a system for loose objects. Bookshelves overstuffed? Invest in baskets or colorful boxes that will further compartmentalize papers. Coffee table full of magazines, newspapers or gadgetry? A magazine rack or ottoman with interior storage will keep your entertainment close to hand but out of sight. It only takes a few changes to make your living areas seem brighter and more fun to live in. Give it a try!